I am a great fan of Adrian Tomine’s works. From Shortcomings to Optic Nerve (his graphic magazine so to say) to Summer Blonde, I have read most of his graphic fiction and I can say without doubt that he is very good at his craft. From the drawings to the story, nothing seems out of place for the reader. 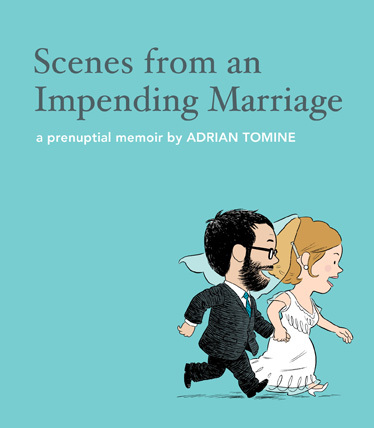 So it was a pleasant experience to read his very short graphic book, “Scenes from an Impending Marriage: A Prenuptial Memoir”, tracing the trials up to his wedding day. The book is everything about planning a wedding and feeling strange and weird and exasperated about it. It is an account of the events leading to the wedding day as experienced by both – the bride and the bridegroom together. It is barely a 54-page book and can be read in 20 minutes. I could not relate to the book as of course I am not getting married anytime soon, however it is a great read even for the single ones. I could not help but smile throughout the book. It is funny and emotional at the same time and you need that dose once in a while to make you smile. From the problem of who to invite to the DJ playlist to the caterers, wedding invitations and about the favour present (which coincidentally was the comic that lead to this book), this book almost covers all aspects of marriage, in a funny manner. This book is nothing like his other works, which are more angst ridden and talk about the search for someone. It is about having found that someone and planning a wedding with her or him. I am not a laugh out loud person. I do not do that while watching a funny film or reading a funny book, however I did while reading this one. Read it on a nice rainy day. It is fun. 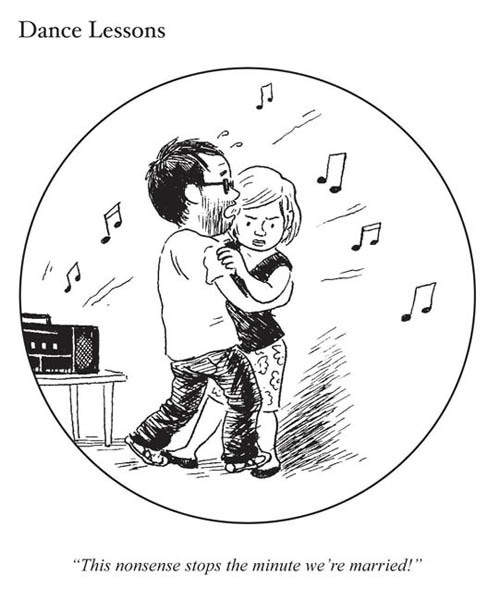 This entry was posted in Books, Faber and Faber, Graphic Novel, Review and tagged Adrian Tomine, Faber and Faber UK, Graphic Fiction, marriage, Scenes from an Impending Marriage on June 30, 2012 by thehungryreader. “Lovers” by Daniel Arsand is set in 18th Century France. It is a love story. A love story that is doomed from the very beginning. It is between two men. A forbidden love, that needs to be destroyed. A love which cannot exist – for the people or for the King. A love story between a French Nobleman, Balthazar and Sebastien, a beautiful and magical adolescent. Theirs is an all-encompassing love affair that refuses to be cowed down by society, its rules and expectations. Of course lovers will meet their end, they will be ruined and so will their love. Because of this love Balthazar ignores his obligation to the King, because of which he is set on a trial, which ultimately leads to his death. Sebastien on the other hand runs away from Versailles, wanting to live a new life. He tries to forget Balthazar but cannot. The book but of course ends on a tragic note. 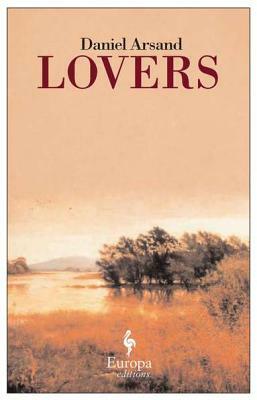 “Lovers” is a beautifully written novella. It breaks all boundaries of writing, in its approach and also in its storytelling. It is a novella which you will finish in a day and ponder over it for days. I might also want to add here that even though it is about a man loving another man, everyone can relate to it, considering it is written about love and its nature. For me Lovers was a mix of prose and poetry. The writing left me speechless and wanting more. The beautiful part about the book is that it can be about any kind of love. The fact that it chooses to portray two men in love, is purely the author’s choice. Daniel Arsand knows how to write a book – to mix the elements of melancholy, joy and pain beautifully and express those using words. Lovers for me was a book not just about love that was not acknowledged and accepted (it still happens sadly in today’s time and age). It was also about how we are not willing to see beyond what the society has set as a so-called-structure. The translation from French is superbly done by Howard Curtis. There is beauty. There is savageness. There is love that needs to be defined and there is the question of dying for love. “Lovers” has been one of the year’s best small reads. It is a read that will leave you wanting more and leave an emptiness in your heart. A must read. This entry was posted in Books, europa editions, Literary Fiction, Novella, Review and tagged Daniel Arsand, europa editions, france, Gay Love, Howard Curtis, literary fiction, Love, Lovers on June 24, 2012 by thehungryreader. The householder is expected to set things right in our country. After all, he takes care of the household, doesn’t he? He has to manage a job, the perils of working for someone he may or may not like, the wife at home (who will or will not nag), the children (who will or will not demand), and then maybe some time for himself (if he manages to at all). That is the image of almost every common man that we conjure in our heads when we hear the term, “Householder”. 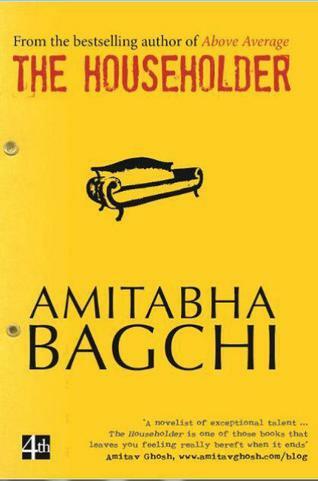 This is what Amitabha Bagchi portrays in his book, “The Householder”. I managed to read this book by chance and I must say that I was quite taken in by it. Initially, I found it difficult to settle into it – for obvious reasons perhaps – the story line, the way the book started off, however once I got into it; I was taken in by the story. Corruption is at the heart of this book, and at various levels. The protagonist, Naresh Kumar, is PA to Shri R.K. Asthana, IAS. He is the so-called corrupt PA to his corrupt boss, depicting the physical form of corruption. Naresh has been involved in years of suspect dealings and under-the-table transactions for his boss and knows ways and means of covering the tracks. However, everything does not go as planned for Naresh in his life. Due to a mishandled case, his career is in jeopardy. His married daughter’s life is in distress. His son’s call center job is a cover for something darker. His wife expects him to solve all problems. That is the crux of the story – of a householder caught in his life, embroiled to an extent that he cannot recognize it anymore. Naresh Kumar is struggling throughout the book. The reader empathizes with him to a large extent and hopes that things get better. That only goes to show the level of writing. The book does get slow at times, but then picks up pace once more. Amitabha writes about a world where money rules and nothing can be done without it – he presents the dilemma of a common man – of morals, of the metaphoric good and evil and the choices we make. The reality of the situation in the book is believable at almost every page. The Delhi, in which the book is set, is cut-throat, the Capital that only understands the language of power and money. The characters are real and identifiable – wanting everything under the sun and knowing that maybe the means are not correct and yet, sometimes despairingly so left with no choices. The writing is razor sharp and does not flinch from depicting the moral decay of our times. The book leaves the reader wanting more and with the knowledge that maybe there is some hope for Naresh and his family. That maybe the householder will not disappoint. At the same time, read the book to face some difficult questions it raises and the answers that can only come from within. This entry was posted in Books, Harper Collins India, Literary Fiction, Review and tagged Amitabha Bagchi, corruption, harper collins india, literary fiction, The Householder on June 23, 2012 by thehungryreader. If there is one book I would recommend you to read this year, amongst other books as well, but of course, “The Infinite Tides” by Christian Kiefer would be one of them for sure. I have read debuts so brilliant. Debuts that do not feel like the book is a first by a particular writer and this for sure falls in that category. The protagonist of this book – Keith Corcoran, who has spent his entire life in the pursuit of becoming an astronaut and becomes one as well, and manages to go into space. He has achieved his goal. His ambition has been lived after being a Princeton Graduate, a Ph.D in Mathematics and being hired by NASA at that. He has managed to make it all with the support of his wife Barbara and his daughter Quinn. He has never been able to spend time with his family and be there for them. Keith Corcoran is your ambitious man. He wants it all and gets all of it. Sometimes there are also events in life that happen unexpectedly, that almost sock you in the stomach and leave you with no air to breathe and that exactly what happens to Keith. He is in space and receives news of the death of his seventeen year-old daughter. Quinn is the only one he could connect with and now she is not there. His wife Barb cannot stand the grief (and the fact that she is cheating on him) and leaves him, taking everything from their house, barring an ugly sofa, bed, his cul-de-sac, a TV and memories. Keith returns home three months after the death of his daughter. He is an empty man, who now suffers from migraines. He doesn’t know when he will be called again by NASA and that almost breaks him. Keith is living the life he doesn’t want to and yet he has no choice. He is haunted by memories. For me the part about memories that hit home the most was the fact that he had to watch his daughter’s funeral on a DVD which NASA taped for him, as he was in space at that time. Amidst his grief (the quiet nature of it is amazingly described by Kiefer), Keith has an affair with a next-door neighbour and makes a new friend in the form of Peter, a Ukrainian immigrant. Peter used to work as a tech assistant in a huge astronomical station in Ukraine. Keith and Peter connect through the telescope owned by Peter. They smoke pot, drink beer and watch the heavens. This is when life unfurls. The unexpected friendship that forms between the two, for me was the basis of the book. There is a lot more that happens in the book, however not everything can be said through this review. Now to the writing. I loved the writing style. It is raw and fresh (well to a certain extent it did remind me of Richard Yates school of writing, but that is just me, as I love Yates’ works). I was taken into the book from page one, and could not stop reading it. Though I did have problems with the space bits, but then they seemed to blend so well with the larger themes of the book – of void, loss and the chance to live life once again, that it all made sense by the time I was half-way through the book. Christian has given a unique voice to Keith, by probably not giving him a voice at all – Keith is a character who doesn’t express himself all that much and by his association with Peter, that changes to a large extent in the book, which is a treat to read. There is passion and angst in great measure in the book, no matter how subtle, but the reader can connect to the book on so many levels. “The Infinite Tides” by Christian Kiefer is a book that I am glad I read and would definitely re-read it. There are lines that break your heart but that is the beauty of a great book. The connection at some level or another. This book is highly recommended by me. Do read it as and when you can. 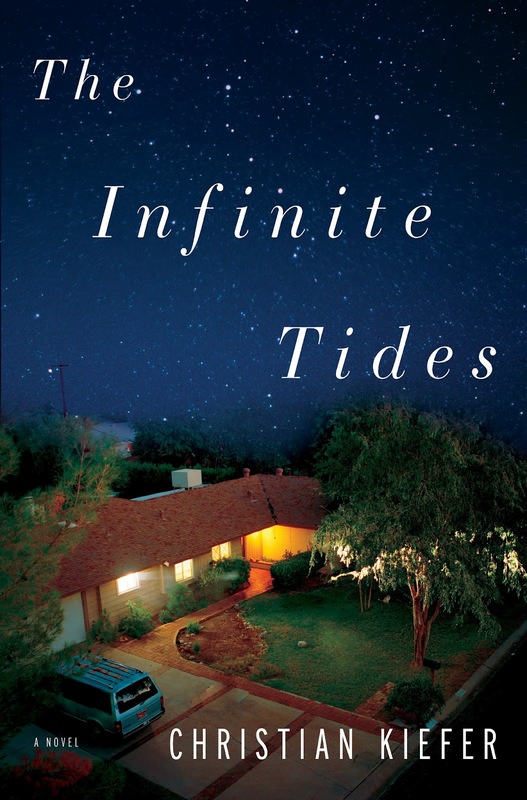 This entry was posted in Bloomsbury USA, Books, Literary Fiction, Review and tagged Astronaut, bloomsbury usa, Christian Kiefer, family, grief, literary fiction, loss, Love, space, The Infinite Tides on June 20, 2012 by thehungryreader. Salvage the Bones by Jesmyn Ward is a brilliant read. I read it in a day and wanted more of it as I knew the novel was ending. Each character is alive as ever to be put on paper. The novel is not a happy book. The reader is not expected to end it with a warm, fuzzy feeling in his or her heart. The book is brutal at times and that is what makes it as charming as any other book. Fourteen-year-old Esch, who has just found out that she’s pregnant, is trying to keep things from falling apart in her family, as they learn that their home town Bois Savage, Mississippi is going to be hit by the Hurricane Katrina. Her father is an alcoholic (as is the case in most of these books), who is concerned about the hurricane and wants to get his children to board up windows and ensure that there are enough canned goods in the house. Her brother Randall is trying to help and starts the process. Junior (the youngest brother) cannot do much, while Skeetah is too busy taking care of his pit bull fighter, China and get her back to health, after the birth of her puppies. That in brief is the story, with the hurricane – literally and metaphorically as the backdrop, for what the family goes through daily. The book is not happy. It does not promise a happy ending. Besides the core plot of teenage pregnancy, there are other matters which make the novel what it is. The themes of alienation, the poverty of the family, the not being able to hold on to each other, and the sheer and raw nature of animal abuse through a dog fight are nerve shattering at times as you get deeper into the book. Jesmyn Ward’s writing is raw and she does not sugar coat a single sentence or word. She portrays things and instances as she sees them, as maybe her characters do. One does get frustrated reading the book after a while, when nothing happy happens, but then as a reader, you understand the point slowly and steadily. The book is told in 12 chapters of 12 days leading to the hurricane. Salvage the Bones also at a deeper level does portray the love of a family – sometimes unconditional and sometimes not so, no matter what conditions they are living in. Esch was somehow Jem (from To Kill a Mockingbird) to me as I was devouring the read. Her character is superbly etched besides the others. Jesmyn Ward has brilliantly captured the southern world as is in the heart of Mississippi – where living is not only difficult but also sometimes survival is the key. I could not stop reading this book. I waited for it for a long time and I dug my teeth into this one without looking up from the book. Salvage the Bones was not a disappointment at all, far from it. At times, the book was a difficult read, but it was worth all the trouble I went through initially. It is lyrical. It reads like poetry and it knows what to do – touch the reader’s heartstrings for sure. 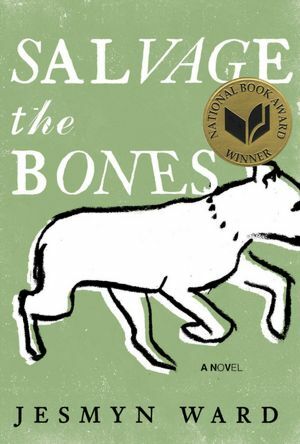 This entry was posted in Bloomsbury USA, Books, Literary Fiction, Review and tagged bloomsbury usa, Jesmyn Ward, literary fiction, Salvage the Bones on June 19, 2012 by thehungryreader.